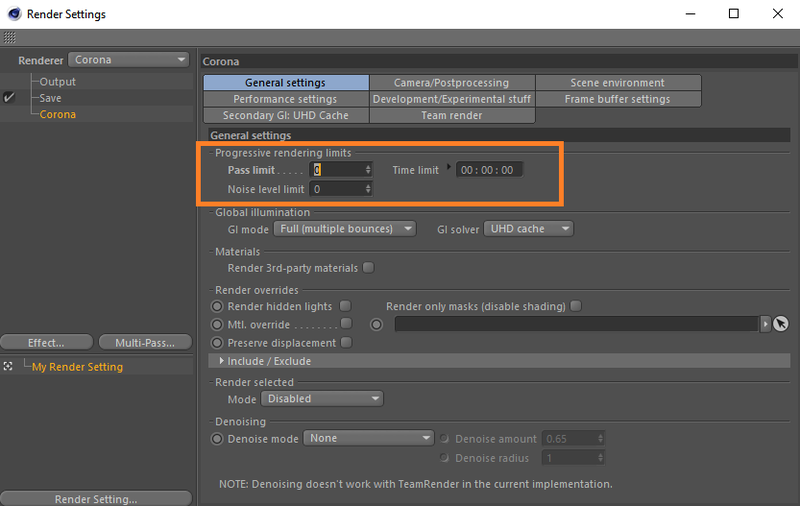 How to set limit for rendering in Corona Renderer for C4D? Note: You can use any number of limits at a time, or each one of them separately. Rendering will be stopped as soon as any of the limits is reached. See: How long should I render my image? , How many passes is enough?